A number of colleagues have commented that it gave the appearance of an argument for inherent violence among the great apes, especially humans. That canard was presumed dead and buried—in absentia—in the 1970s. Alice's Restaurant Massacre a Must-Hear Experience on the American Thanksgiving. This is an unforgettable experience, even if you've heard it thirty times. If this is your first, remember that this was 1967. 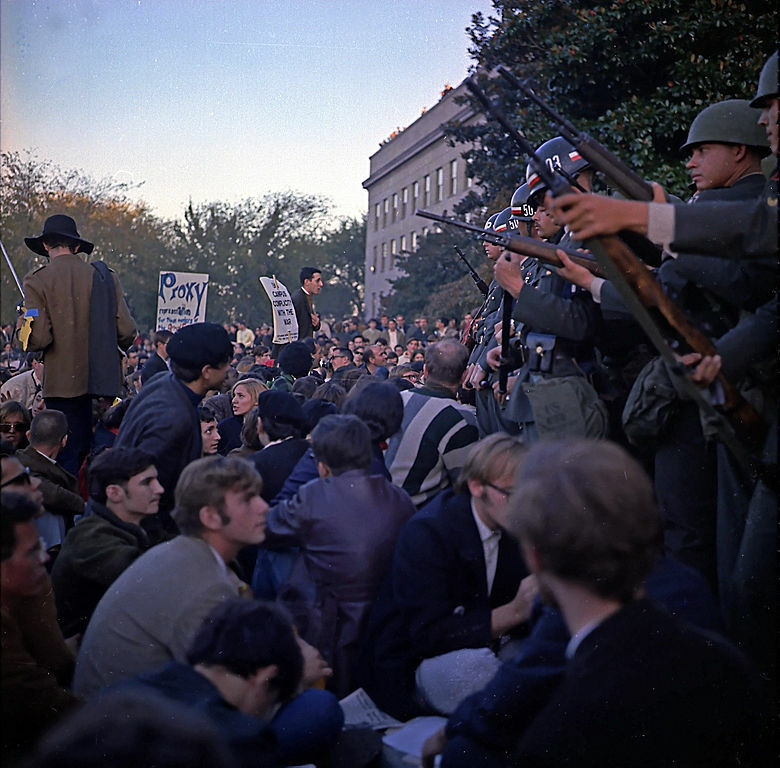 Anti-Vietnam War 'sit-in' at the Pentagon 1967. 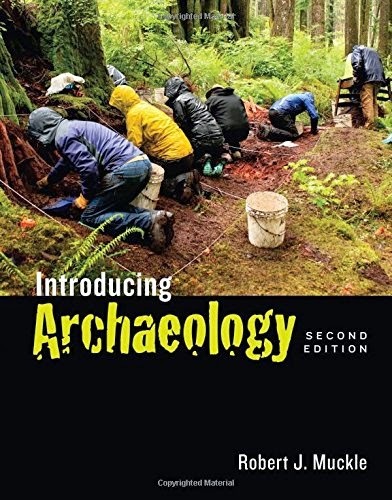 Part One of [Probably] Many: What Does It Mean To Be A Subversive Archaeologist? I'm betting most people are surprised to hear the word 'subversive' spoken in the same breath as 'archaeologist.' After all, subversives work against evil governments or brutal oppressors, not university subjects. So, what's up? 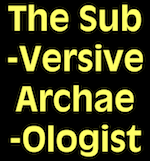 'Subversive archaeologist' seems almost oxymoronic. You're getting close. Oxymoron is from the Greek words for 'sharp' and 'foolish.' In archaeology, as in life, one is either 'sharp' or 'foolish,' and from my perspective, there's no in-between. This blurt is about the distance between getting it right and makin' stuff up, between a good theory and a bad myth, a well-warranted inference and a mistaken one. Whoa! Wait a minit! Inference? Don't people infer stuff from partial information? Exactly. But, that doesn't sound like science to me. Well, that's science, and in this case, archaeology, all over. It's not up to me to comment on the way knowledge is made in the other sciences. But in archaeology, artifacts don't come out of the ground with labels on 'em. Believe me. I've spent years on my hands and knees, scraping back time, in search of a long-forgotten past. And you don't 'discover' the past, you make it up. Sort of. Archaeologists dig to find traces of the past. And those traces don't speak for themselves. In a very real way, archaeologists give those things meaning. We try to get it 'right.' We don't try to pull the wool over your eyes. But much of the time the bits we find are ambiguous, and sometimes we don't find that out until years later. That's how archaeological myths are born. The job of a subversive archaeologist is to reveal the ambiguity, and in that way to help in dismantling both the myth and the web of mistaken beliefs that it spawned down through the years. The work of a subversive isn't popular with the 'government' of archaeology--the hierarchy of Professors and Directors and such. And they let you know it, in various ways, overt and insidious. So, being a subversive archaeologist, like a lot of subversives, is almost like being in an armed conflict. There are skirmishes, strategies, tactics, logistics, even outright war in archaeology. And it's all because of the tension between 'getting it right' and getting it embarrassingly wrong. Come with me and I'll show you worlds you never imagined [there's a lot of that in archaeology], and ideas you hoped you'd never have to grapple with. No worries. I'll talk you down. We'll have fun. Honest. Maybe an example will help. You've probably heard of the Piltdown Man, once considered a fossil ancestor. You may even have heard that it was a hoax. It was. But thanks to the guile of the hoaxster and the gullibility of most archaeologists of the time, it's reality was unquestioned for decades. That's because the people who study our fossil relatives decided that it was a proper piece of the jigsaw puzzle of human evolution. That expectation and the acceptance of Piltdown Man held back real scientific progress, real knowledge, for nearly forty years. 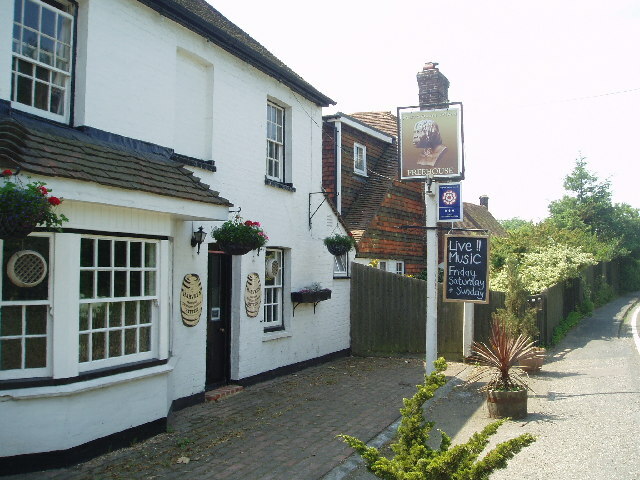 Piltdown is still a small country crossroads in southeastern England. Too far from London to be built up. It had or has a gravel pit. In nineteenth and early twentieth-century England that meant one thing--there be fossils here. Group portrait by John Cooke, 1915. Charles Dawson, Arthur Smith Woodward. W P Pycraft, and Sir Ray Lankester. 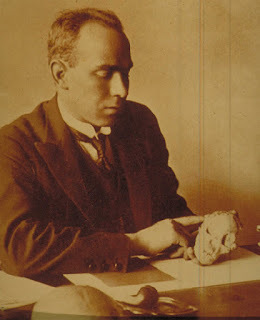 To make a long story short, in 1912 Charles Dawson came across a skull and jawbone that looked to him as if it was the 'missing link' between the apes and humans. 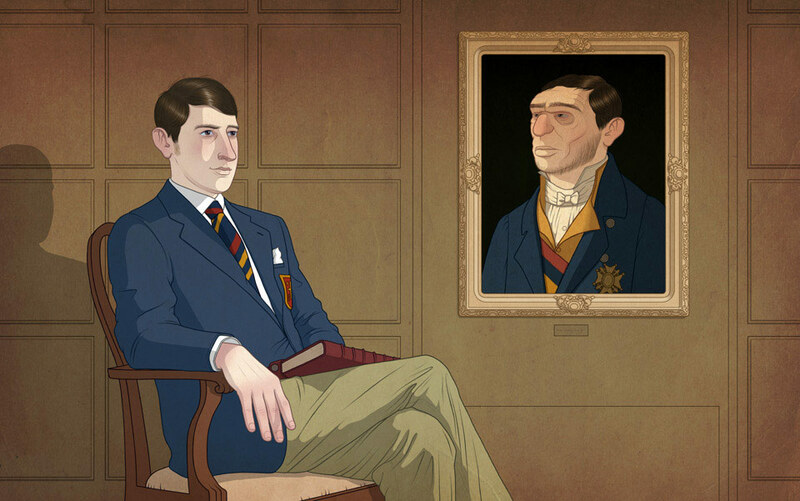 [For the time being we'll ignore the specious distinction between 'ape' and 'human,' since we're all apes. Humans just happen to be the only apes that habitually walk upright on their hind legs--A.K.A. obligate bipeds.] The Piltdown specimen was readily accepted because it had a modern sized skull and teeth and jaws like the other apes [the lower jaw was actually that of an orangutan, with its long canines literally filed down]. This all fit perfectly with conventional wisdom of the time--that the essential difference between apes and humans was our big brains, and that the 'missing link' would have a big brain and [most likely] a body like an ape. 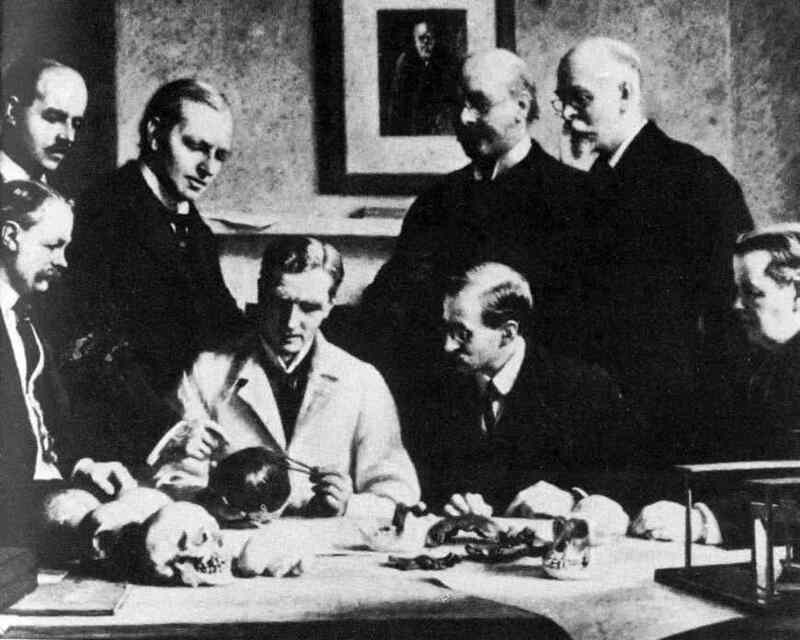 Therefore, the Piltdown specimen 'fit' with what scholars expected to find, and what the hoaxster knew they'd be ready to accept. Unfortunately the strength of scientific orthodoxy meant that for nearly forty years no one seriously questioned the find. Well, almost nobody. 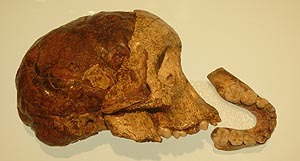 The 'Taung Child' (Australopithecus africanus). If you're up for more, I sure am. Let's go, shall we? Disappointed? You Must Have Missed the Subversive Archaeologist's Weekend Double-Header on the Latest From Kathu Pan 1. This message is dead simple. Part Two of There Ya Go Again! The Putative 500,000-Year-Old Hafted Spear Points From Kathu Pan 1 VS Reality: What's the DIF? In the previous blurt I did what I could to point out the problems with the putative spear point OSL dates from Kathu Pan 1. As promised, I'm now going to address the primary claim of Wilkins et al. 2012, that some of Kathu Pan 1's pointy stone artifacts bear evidence of having been used as the business end of a composite armature, a projectile in fact, specifically, a spear. Let's have a closer look at their argument. Shall we? Wilkins et al. 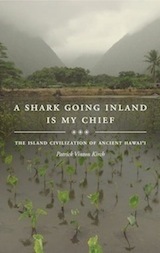 begin with a qualified statement of conventional wisdom regarding bipedal apes and sharp, pointy rocks. So, the authors start from the presumption that hafted spears were commonplace in the Middle Palaeolithic. Why not, then, suppose that the last common ancestor of us and them was also capable of putting two and two together, and making a spear? No reason not to, I guess, unless you're suggesting that there's a gene that codes for spear-making! Never mind. The authors feel that they must say something of the kind, since they're getting ready to tell us about stone artifacts that they believe are contemporary with H. heidelbergensis in Europe. 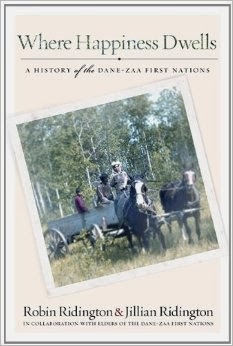 As you may have read in my previous post, the early dates on the alleged spear points are irrelevant. To summarize. The artifacts in question derived from a spring vent that blew threw Stratum 4 at Kathu Pan 1 some time before the upper reaches of Stratum 4 were stripped away by an erosional process [most likely wind] and before Stratum 3 was laid down. You'll remember that the very early dates of ~500 ka were estimates based on quartz grains drawn from the spring vent. 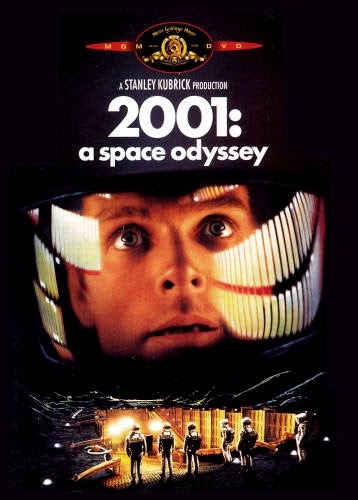 And, of course you'll have retained the knowledge that there is no way on God's green earth to know whether or not the dated sand and the artifacts are in association. So, feel free to throw out the dates. It's astonishing that the authors didn't even flinch at the context of this collection of Kathu Pan 1 booty. And, as you'll see, the rest of the paper is as confusing a a House of Mirrors at an amusement park. So, from what amounts to a lag deposit of stone artifacts and faunal remains found in a spring vent of unknown age, the authors recovered 210 pointy stone artifacts like the ones shown above. Of those, a mere 29 have at least one 'Diagnostic Impact Fracture' (DIF). These are of two kinds: step termination fractures (see below, item 1), occurring when a bending force is applied to the flake margin, whether that be where the two lateral margins converge (i.e. the 'tip') or on the margins proper. The other DIF is a burin removal [per se], which is a flake the axis of which follows a lateral margin for some distance, and terminates in a step or a hinge fracture or simply feathers out. The first kind of DIF, the step termination, can occur anywhere on a flake margin where the thickness and brittleness are such that a small flake can be removed by a force applied from either the dorsal or the ventral direction. By definition, where pointy artifacts are concerned, the burin fracture DIF can only occur at the tip. Such forces can and do occur at the tip and along the edges of true projectile points. However, other, post-depositional processes are capable of producing such modification, including trampling by all sorts of large mammals, from bipedal apes right on up to elephants. The authors are quick to admit that processes other than projectile impact can and do create such scars. Nevertheless, they are equally quick to rule those out, first by argument from authority. They state that 'Similar-appearing fractures can result from post-depositional processes, although their frequency within assemblages is low.' In dismissing post-depositional processes in this fashion and for this reason, they cite one paper, by Justin Pargeter, who undertook trampling experiments to see if pressing down on some home-made flakes in an artificial substrate was capable of creating DIFs. His results are tabulated below. Those that have been crossed out are not considered DIFs, per se. Table 1. Detailed macrofracture results from the trampling and knapping assemblages. (CT: cattle trampling; HT: human trampling. D: dolerite; Mq: milky quartz; Qtz: quartzite; BF: bifacial; UF: unifacial. Note that one tool may have more than one fracture on it). From Pargeter 2011. Pargeter attempted to control for the density of the substrate, and to account for differences in the strain resistance from one raw material to the next. However his efforts are a weak hook on which to hang Wilkins et al. 's sweeping dismissal of post-depositional processes. Looking at Pargeters table of results, above, you see that very few DIFs were produced during both the cattle and the human trampling parts of the experiment. He found that step terminating fractures were less common, although any comparison between single-digit results ends up inflating the differences. All up, out of 450 pieces over four trials using cattle and barefoot people, only four [count 'em, 4] flakes were found with step terminating fractures. Burination occurred on a slightly larger number, five. Importantly, DIFs occurred on amorphous flakes as well as pointy ones. It is for that reason, I suspect, that Pargeter concludes with the following statement. 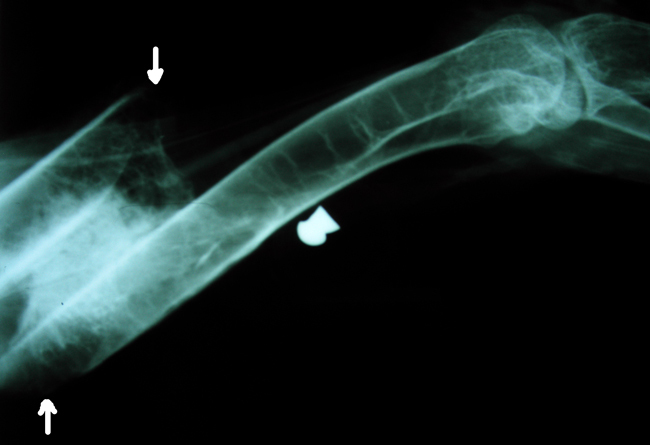 [Diagnostic impact] fractures should only be considered diagnostic when found on pieces that are morphologically potential hunting weapon components or together with other use-wear traces. In other words, they're not DIFs unless they occur on pointy stones. You can forget about DIFs that occur on amorphous flakes, because, clearly, they wouldn't have been useful for piercing hide and flesh. So. To paraphrase, it's random and inconsequential if the flake's amorphous. It's okay to think that pointy rocks with DIFs are spear points. Does this sound a bit suspicious to you, too? Albeit Pargeter's experiments were carried out in good faith, their shortcomings aren't trivial. 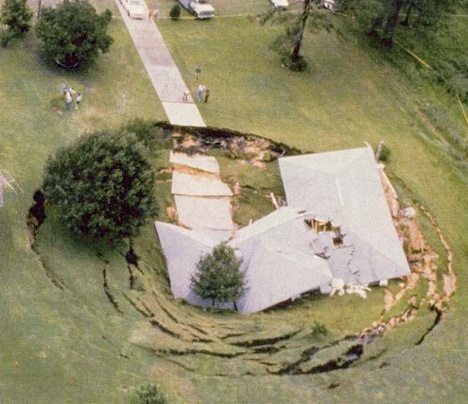 For example, we know that substrate density will have a bearing on damage from trampling--for example, between sand and bedrock. Every kind of substrate in between sand and rock will yield a different result, as, moreover, would the size of the animal doing the trampling. Presumably giraffes, rhinos, and elephants would be capable of inflicting more damage to all sizes and shapes of flakes than cows or people. In the case of Kathu Pan, one can imagine that the water-seeking animals that congregated when there was standing water wouldn't have been restricted to people and cows [or gnus, for that matter]. Nevertheless, Wilkins et al. think it's quite all right to play down the role of trampling on the basis of Pargeter's single experimental effort. This, as much as anything, gives lie to the remainder of Wilkins et al. 's paper. Now, as most of us are aware, replicative experiments demonstrate that a phenomenon can occur as a result of a particular set of actions. Nevertheless, they do nothing other than to suggest the means by which that phenomenon might occur. It's a hypothesis. A starting place. Sufficient to explain the phenomenon of interest, but by no means necessary. Thus, while great fun, the authors' experimental results are patently inconclusive, and oddly have very little bearing on their thesis. 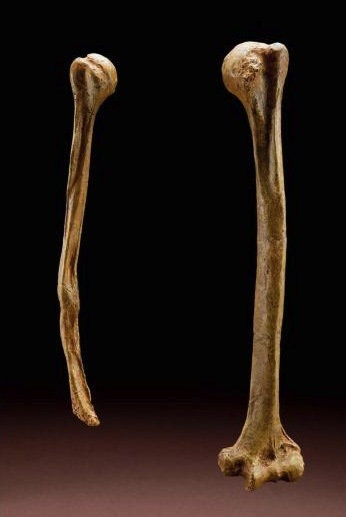 In addition, no amount of statistical tap-dancing can replace the kind of contextual evidence that would readily indicate the use they propose for such artifacts--a point embedded in an animal bone, for example, or, at a minimum, one associated with the remains of a carcass in an unequivocal manner. True, Wilkins et al. did find the KP1 points in association with animal bones. But, as I pointed out in my last outing, those items almost certainly came together as the result of post-depositional processes, and there can be no no way of knowing if the bones and stones were in association when the animals died or the stone points were discarded or lost. In this, I have to say, the authors' naïvete is breathtaking. Perhaps knowing that their arguments were thin, they conduct one further analysis. They decide to look at plain old damage, rather than DIFs, as a means of diagnosing spear points from cutting tools. Apparently, in addition to the damage categories discussed above, the authors found a considerable amount of simple 'edge damage' on their experimental pointed flakes. Here, they think, is a means of getting at the function of the KP1 points without even bothering with DIFs (which, you'll remember, were meant to be the diagnostic damage that sorts mere flakes from projectile points. Their analysis gets weirder by the minute. ... we recorded the macroscopic edge damage that was evident on all complete points... . Edge damage was more frequent at point tips than along point edges, and distributions were similar between left and right sides (Fig. 4A [reproduced further down]). Taphonomic processes can be ruled out as the sole source of damage on the KP1 points. Post-patination scars, which are easily identified ... [see below], reflect damage not related to use of the points and occur as frequently on point edges as point tips (Fig. 4B). In aggregate, the damage along the dorsal surface of the KP1 points was similar to the distributions of post-patination scars … whereas the damage along the ventral surface was different... Therefore, we focused on the ventral edge damage to test hypotheses about the function of KP1 points. From the look of the chip indicated in D, above, the 'post-patination' scars could easily have been made yesterday, the result of trowel trauma or the banging around that the artifacts must have experienced as the spring was bubbling through Stratum 4 at some unknown time in the past. And, is it just me? Or, do the authors plain fail to adequately explain why they focussed on ventral damage? It sounds to me as if they're saying, 'There's no differences on the dorsal surface that'll allow us to distinguish between natural and artificial edge damage. However, we see differences on the other surface that do, sort of, therefore we'll only include the ventral damage in our analysis.' Huh? I know. We should just write them off right here. But, whadda ya say we give 'em the benefit of the doubt for now. 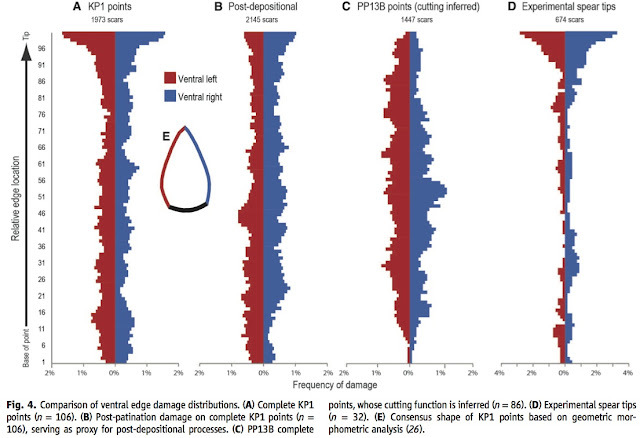 The illustration above depicts ventral edge damage to 106 of the loverly, pointy flakes--the complete KP1 points. Columns A and B are meant to show us that there is a 'real' difference between the locations of pre-patination edge damage (A) and those that occurred post patination (B). The authors recorded an extraordinary amount of damage on the KP1 points--an average of 38 scars per flake! The total of 1,973 in A are considered the result of use, and the 2,145 in B are said to be 'post-patination' [or, irrelevant to their analysis]. Notice that in A, a greater degree of use damage occurs distally than either the post-patination damage (B) or that of the presumed cutting tools from Pinnacle Point 13B. The authors favourably compare the degree of distal damage between KP1 points and that occurring on their 32 experimental stone points. They see this as proxy evidence that the KP1 points were used for thrusting into live hide and flesh. But, in fact, the experimental flakes sustained an average of only 21 edge-damage scars each. This is no doubt significantly different, statistically speaking, from what the KP1 points experienced in non-post-patination damage. If we are to accept that the spearing experiment is a proxy for what the KP1 points went through during their use-lives, the difference between the two samples in numbers of edge damage events suggests the real possibility that the 17 additional scars suffered by each KP1 points may indeed have been post-depositional, but pre-patination, something that the authors never consider. Instead, the authors seem very keen to focus on the predominance of damage to the distal tip as a means of diagnosing a spear point. In all of this focus on edge damage to the exclusion of DIFs, the authors make no mention of the type of scarring--i.e. the morphologies--of the edge damage. You'd have thought that, if one class of damage were qualitatively different from the other there might be more reason to suppose that the differences were due to the different functions for which the points were intended. Especially curious is that the authors make no mention of the most likely reason, in a physical, mechanical sense, for both a qualitative and quantitative difference between edge damage on the dorsal surfaces of the KP1 points and that visited on the ventral surface. I'll explain. Think of the cross section of the vast majority of MSA (Middle Palaeolithic) unifacial lithic flakes, which is how the authors describe their KP1 points. 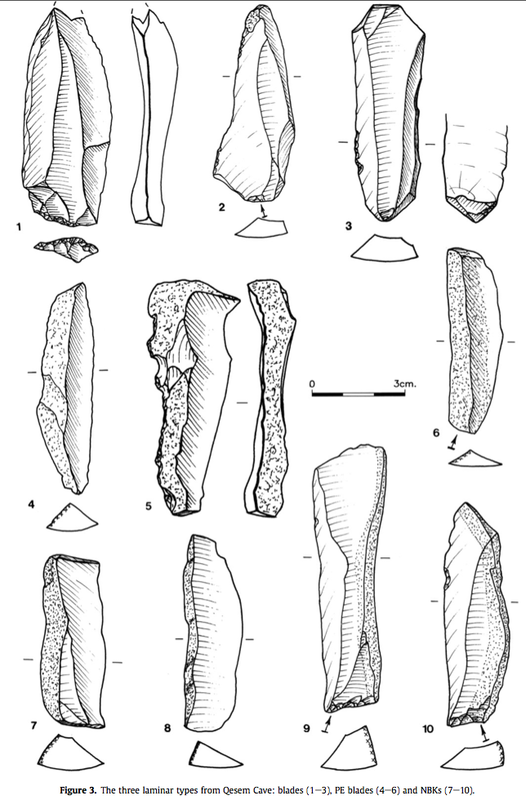 Those shown below are some 'blades' from Qesem Cave. Notice the ventral surfaces--the smoothly curved lower sides in the cross sections of examples 2 through 10. The ventral surfaces of these flakes would naturally be much more susceptible to edge damage in comparison to the dorsal side. That's because of the additional mass on the dorsal side, which provides a natural buttress against bending force. Ask any knapper. A much greater force would be required to remove a flake from the dorsal surfaces of any one of the examples. Notice how the dorsal surface is buttressed by the dorsal mass relative to the ventral. From Shimelmitz, Barkai, and Gopher 2011. By now you should be as suspicious as I am about the veracity of Wilkins et al. 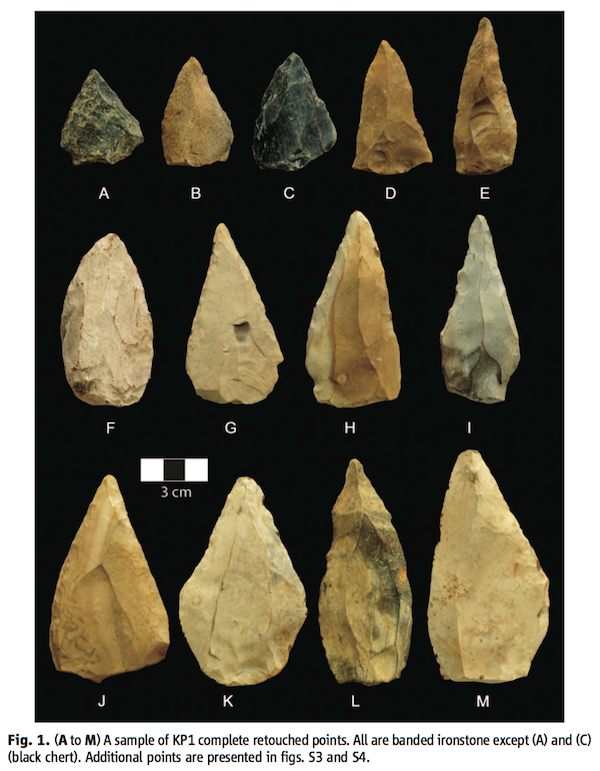 's claim to have found evidence of hafting and use of pointy rocks as projectile points. After all, a litany of shortcomings attends this paper. First, they have failed to accurately date the finds. Second, they have failed to imagine a wide enough range of possible sources of damage. Third, they have failed to take into account the greater natural susceptibility of ventral surfaces to incidental chipping compared to that of the dorsal. Fourth, they have failed to give a good reason as to why they didn't include dorsal damage in their calculations, other than to aver that dorsal damage wasn't diagnostic or otherwise helpful. But, on what grounds, one wonders? There are no data provided. I believe strongly that we should be allowed to judge for ourselves on this point, yet we're given no help whatsoever by the authors. Once again I'm forced to say, as I did relative to Wilkins's earlier article on the putative 'blade industry' at Kathu Pan 1, that the data presented are inadequate to support this latest, even more spectacular claim to have found evidence for composite tools deep in the Middle Pleistocene of southern Africa. This is going to be my last word on the subject. Promise. Sorry. Can't resist. One more word. I find it sobering that the Science referees failed to notice even one of this paper's methodological and analytical shortcomings. But then, I guess we should be getting used to that, by now. There Ya Go Again! Part One--The Putative 500,000-Year-Old Hafted Spear Points From Kathu Pan 1 VS Reality: What's the DIF? It's now officially an international media feeding frenzy. National Geographic - Stone Spear Tips Surprisingly Old—"Like Finding iPods in Ancient Rome"
I hope you'll forgive what will undoubtedly end up being a very long blurt this time around. It's dead necessary. If your Subversive Archaeologist is going to spot shortcomings that undermine the arguments made in a paper like this, he's going to have to spend way more time, and marshall ten times the breadth of expertise than did the referees. And, remember, these are Science referees. There're no flies on them [at least in the opinion of the Science editor(s)]! So, this is not a task that lends itself to brevity. Vicinity of Kathu Pan 1 (from Wilkins et al. 2012). 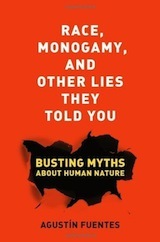 The authors are well aware that such claims cannot be made simply by bold assertion. 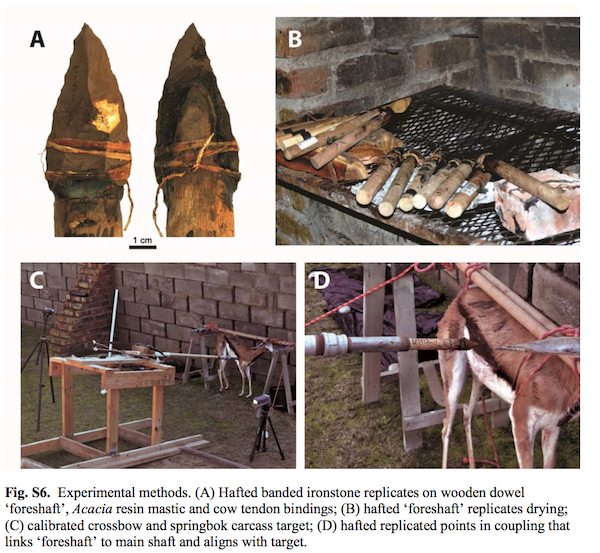 In today's case, the extraordinary conclusions are accompanied by some truly impressive morphological and metrical analysis, and actualistic experiment with a purpose-built crossbow, some hafted spear stand-ins, and a deceased wild springbok [small ruminant artiodactyl]. Unfortunately for the clever archaeologists, the basis of their claim rests not in their analysis, but rather in their arguments. It's the same old story that the Subversive Archaeologist has told before. Funny thing is...few, it would seem, are listening. Maugre their ultra-scientistic approach. I'll save my mirthful response to the use of a springbok for such an experiment for a quiet moment alone in my mother's basement. But, seriously, unless the thing were lying dead on the pan, can you imagine H. heidelbergensis [or you or me, for that matter] sneaking up on a nimble beast like this one and driving home such a weapon? They might as well have chosen a dead elephant [but that might not have impressed the authorities]. This article has two major shortcomings, as I see it. The first is in convincing a sceptical archaeologist that the dates are from contexts in which the association with artifacts is well-warranted. Their second mistake comes in the background knowledge that they draw on in making their claim that the only way their bits of stone could have been modified in the way they were because they were hafted to a stick and poked into an animal. I'll deal with the dates in this part; the stones themselves will have to wait. Wilkins et al. 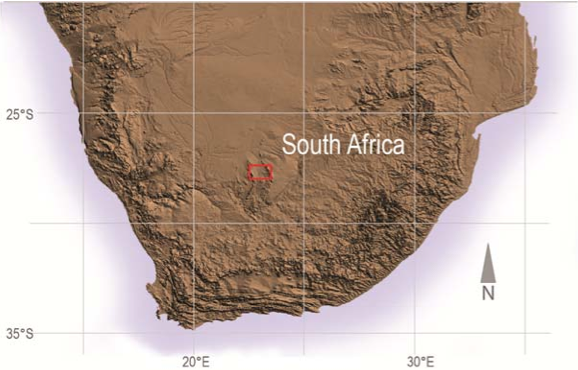 's troubles have their origin in the Kathu Pan 1 doline's depositional history, and in their evidently weak expertise in interpreting the depositional agents of various sized clasts. There is no indication that the authors are even aware of the potential for mixing in a sediment trap like the one in which they're excavating, much less the action of the occasional spring that came into being during the site's depositional history. 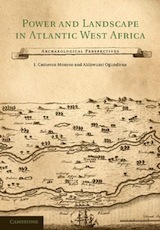 The authors appear to treat each excavated artifact and sand grain chosen for OSL [yup, again] as if they had been, for all time, temporally associated. How else could you explain their naïve acceptance of the OSL age estimates? Filled circles are OSL age estimates; filled triangle is U-series/ESR age estimate. From Wilkins et al. 2012. From top to bottom, stratum 1 [not shown] is characterized by 1.5 -2 m of interdigitating calcified sand and organic peats. Stratum 2 [not shown] is characterized by well-sorted aeolian sand that becomes increasingly calcified toward the top. 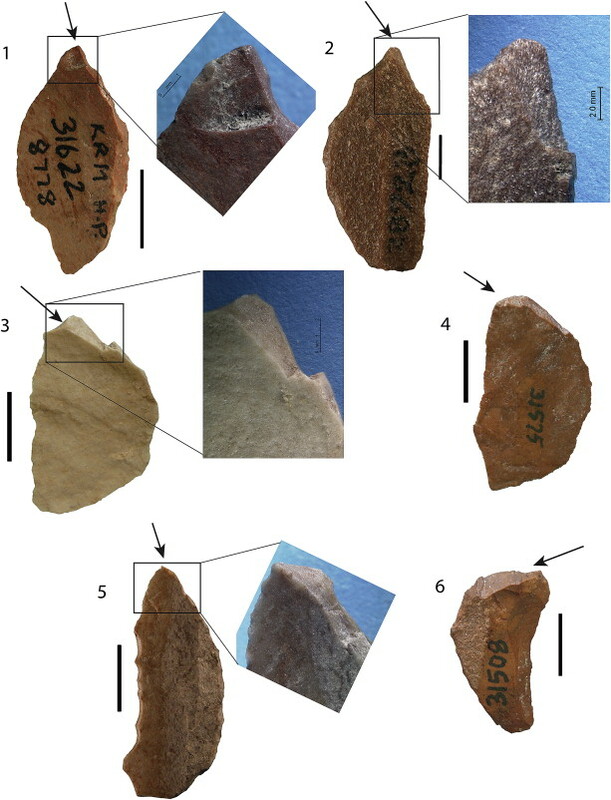 Artifacts in strata 1 and 2 are very sparse, but Beaumont tentatively suggests a ceramic LSA or Iron Age designation for stratum 1 and potential Robberg affiliation for stratum 2. In other words, too young to be of interest to the authors. Stratum 3 is ... gravel with sub- angular to sub-rounded pebbles in a greyish sand matrix. 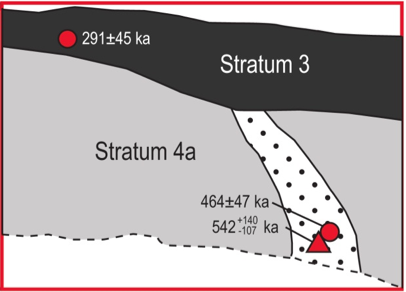 Stratum 3 is dated at 291 ka. Stratum 4 consists of two substrata, 4a and 4b, which are distinguished from each other based mainly on the lithic and faunal assemblages, though Beaumont ... also reported a thin pebble lens that divided the substrata. The artifacts were recovered from a yellowish sand matrix. Stratum 4 sounds like well sorted sand. Most probably wind-borne. In fact, I'd bet my lower central left incisor that these are fine to medium-sized sand grains, typical of aeolian transport and deposit. [I should tell you that I can make good on this bet. The orthodontist that the tooth be extracted before they put braces on my pearly whites, and I still have it under my pillow, waiting for the tooth fairy.] Moreover, I'd bet that the period during which the sands were deposited was an extraordinarily dry and windy one. That's because there is evidence of what could only have been scouring out by wind in the non-conformity between 4 and 3. Stratum 3's coarser, unsorted sediments bespeak a later, wetter period when surface water flow was transporting a range of small-sized sedimentary grains into the doline. But, here's the kicker. The really old dates are from an intrusive geomorphic feature, one that would undoubtedly have brought older fine sediments up to the level of the excavations, and described by the authors as follows. In the process of cleaning the section, two well-defined vertically-oriented spring vents in stratum 4a were revealed and described as the ‘Upper Vent’ and ‘Lower Vent’. The Upper Vent, which is in the uppermost levels of stratum 4a and truncated at the top by Stratum 3, is densely packed with lithic artifacts and fauna, and the area outside the vent contains few, if any, artifacts. [The 464 ka sample] was recovered from sediments in direct association with the concentrated lithic artifacts and faunal remains within the vent. What does this tell us? And how does this relate to the veracity of Wilkins et al. 's claims? Plenty. A brief accounting of karst features. To begin with, think of how a big hole in the ground [the doline] came to be, and then filled up. There's a clue in the name of the site, Kathu Pan. A 'pan' is what would be called a playa in North America. It's a broad, nearly horizontal valley bottom that seasonally collects water from precipitation, hosts a shallow lake for a time, then dries up and awaits the next wet season. For a doline to form, the pan must be underlain by lithified fine sediments, such as limestone, siltstone or mudstone. These are the kinds of geological strata that are susceptible to karst processes--cave formation, among others. 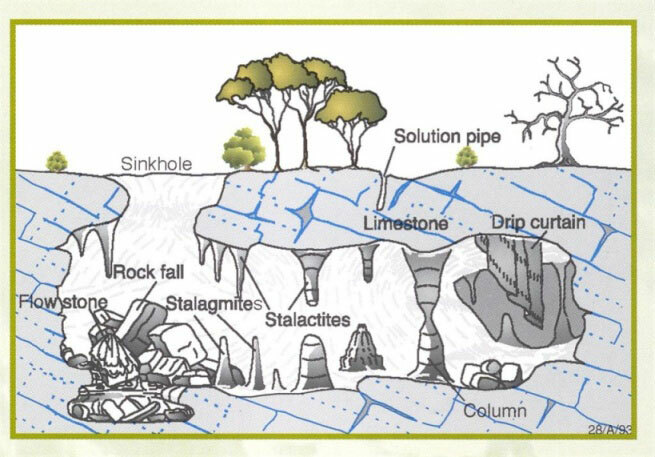 The illustration above is a succinct depiction of the kinds of geomorphic features that can occur in areas of karst. Those below are real-life dolines. Guatemala City, Guatemala, 2007. A 'swallow hole.' It will need to be bridged. Filling it in is out of the question. Florida. 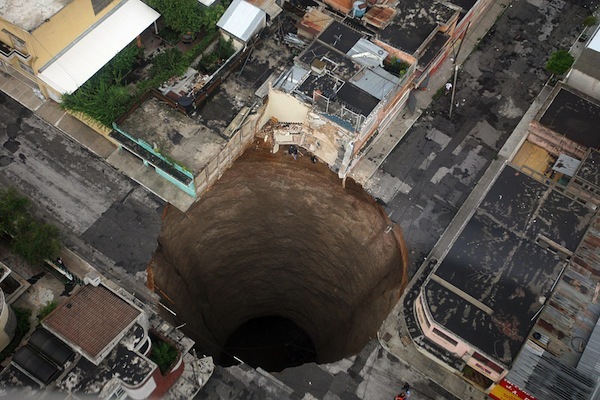 This is more of a 'sink' than a sinkhole. But just as devastating. The basal geology of Kathu Pan 1 would be of no intrinsic value to this discussion of the OSL age estimates were it not that Wilkins et al. observed 'spring vents' in their site. Your subversive imagination should, upon hearing such a statement, see a red flag. 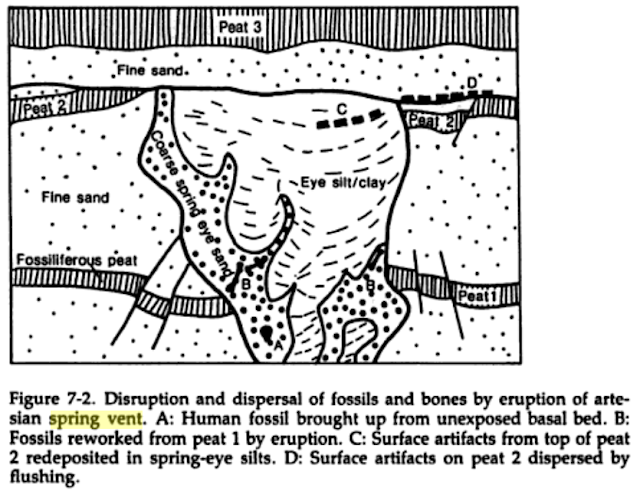 A spring vent is an opening in the surrounding sediments that concentrates ground-water discharge to the Earth’s surface. In other words, it's like a do-it-yourself geological pressure release valve. In the case of Kathu Pan 1 these spring vents could only have occurred at a time when the underlying karst system was chock full of water under pressure from the local water table. Some of that pressure was relieved through a 'vent' that formed in the unconsolidated sediments of the doline's fill. Think of it. Everything in the vent would be turned into a slurry as the water passed through it toward the surface. As in any transport process involving moving water [even water moving vertically through sediment] the smaller and lighter clasts would be more mobile, and the heavier pieces would tend to form a lag deposit. 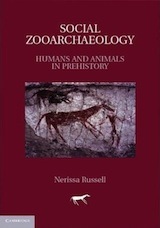 [Exactly fitting the authors' description: 'concentrated lithic artifacts and faunal remains.'] In a vertical column that contains fines like sand and larger pieces like stone artifacts, the heavier artifacts would literally sink as the smaller grains were randomly removed from beneath them--just the way your feet sink when you're standing on a beach and a wave washes ashore and then recedes. It simply can't be argued away or ignored. The authors' concentration of artifacts and faunal remains is almost certainly the result of the these processes I've described. I'm not makin' this stuff up! Karl Butzer, one of the lions of geoarchaeology in the early days, thought that a spring vent was an important enough disturber of archaeological traces that he put a wonderful illustration in Archaeology as Human Ecology, shown below. In a different way, but with the same result, the fines selected for OSL dating from the spring vent were undoubtedly a porridge of old and young clasts. Since the water was pushing upward through older sediments, we can have NO WAY OF KNOWING where they came from or indeed how and if they are related temporally to the artifacts that almost certainly derived from a younger level or levels. The spring vent could be as recent at Holocene in age, given the other uncertainties raised by the depositional circumstances in Stratum 3. Bottom line: we could never know the true age of any artifact in the spring vent that passed through Stratum 4 (a and b). There is no question that a spring vent, such as that occurring at Kathu Pan 1, would wreak havoc with the sediments in its path, and those nearby. I've raised a lot of questions in this piece. So, to summarize, the OSL dates from Kathu Pan 1 cannot be relied upon. Because of the depositional environments--a sinkhole and a spring vent--there are too many unknowns when it comes to the association between the artifacts that interest the authors and the sediments selected for dating. Too. Many. I'm truly sorry if this comes across as a harangue. I get so frustrated by the way people working in my business are so concerned to get a spectacular result that they ignore very basic principles of stratigraphy and geomorphology, to say nothing of informal logic. 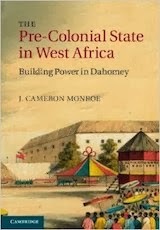 The present authors are no exception [as we've seen before]. Watch this space for a discourse upon the stones, coming soon. As you might imagine, I've been wrestling in silence with Richard Wrangham's cooking hypothesis for some time now. This is what Publishers Weekly had to say about Catching Fire, RW's popular book on the subject. Contrary to the dogmas of raw-foods enthusiasts, cooked cuisine was central to the biological and social evolution of humanity, argues this fascinating study. Harvard biological anthropologist Wrangham (Demonic Males) dates the breakthrough in human evolution to a moment 1.8 million years ago, when, he conjectures, our forebears tamed fire and began cooking. Starting with Homo erectus—who should perhaps be renamed Homo gastronomicus—these innovations drove anatomical and physiological changes that make us adapted to eating cooked food the way cows are adapted to eating grass. By making food more digestible and easier to extract energy from, Wrangham reasons, cooking enabled hominids' jaws, teeth and guts to shrink, freeing up calories to fuel their expanding brains. It also gave rise to pair bonding and table manners, and liberated mankind from the drudgery of chewing (while chaining womankind to the stove). 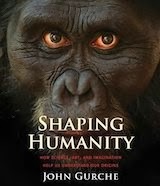 Wrangham's lucid, accessible treatise ranges across nutritional science, paleontology and studies of ape behavior and hunter-gatherer societies; the result is a tour de force of natural history and a profound analysis of cooking's role in daily life. 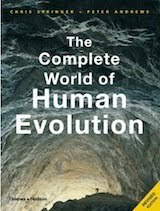 More than that, Wrangham offers a provocative take on evolution—suggesting that, rather than humans creating civilized technology, civilized technology created us. Copyright © Reed Business Information, a division of Reed Elsevier Inc. All rights reserved. Ringing praise, I'd say. 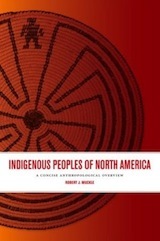 I could spend weeks going after the plethora of assumptions that the author incorporates in the thesis from a post-modern anthropological point of view. Suffice it to say that I have issues with it. But that's not why I've called you here today. Lately, I came across another contribution to the literature on cooked food and primate brains. The only advice I could have given the authors while they were still writing is: 'Look before you leap.' 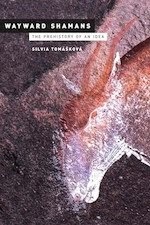 Karina Fonseca-Azevedo and Suzana Herculano-Houzel, ‘Metabolic constraint imposes tradeoff between body size and number of brain neurons in human evolution.’ PNAS 109:18571-18576, 2012 (published ahead of print October 22, 2012, doi:10.1073/pnas.1206390109)* wrests a far-reaching hypothesis from some interesting brain- and body-size data on a range of primates in relation to the number of hours each species spends feeding. And here it is. ... by showing that metabolism is indeed limiting at physiologically relevant combinations of body [mass] and [brain mass], our data provide evidence that metabolic cost is limiting enough to impose tradeoffs in brain evolution, and thus offer direct support for the proposition of Wrangham (Wrangham RW, Jones JH, Laden G, Pilbeam D, Conklin-Brittain NL. 'The Raw and the Stolen. Cooking and the Ecology of Human Origins.' Curr Anthropol 40:567–594, 1999; Wrangham RW. 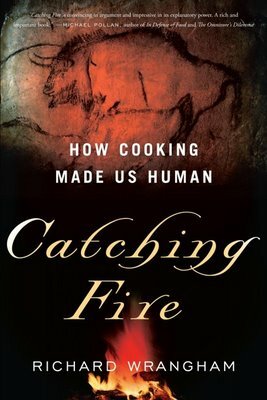 Catching Fire: How Cooking Made Us Human, Basis Books, New York, 2009) that such a metabolic limitation was overcome in the human lineage by the advent of cooking food, which greatly increases the caloric yield of the diet, as a result of the greater ease of chewing, digestion, and absorption of foods (Urquiza-Haas T, Serio-Silva JC, Hernández-Salazar LT. 'Traditional nutritional analyses of figs overestimates intake of most nutrient fractions: A study of Ficus perforata consumed by howler monkeys (Alouatta palliata mexicana).' Am J Primatol 70:432–438, 2008; Carmody RN, Wrangham RW. 'The energetic significance of cooking.' J Hum Evol 57:379–391, 2009; Carmody RN, Weintraub GS, Wrangham RW. 'Energetic consequences of thermal and nonthermal food processing.' 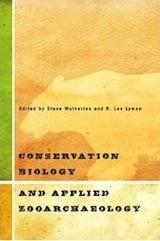 Proc Natl Acad Sci USA 108:19199–19203, 2011). In line with this proposition, a cooked diet is preferred by extant nonhuman great apes (Wobber V, Hare B, Wrangham R. 'Great apes prefer cooked food.' 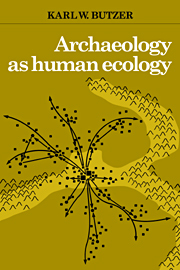 J Hum Evol 55:340–348, 2008). Although the earlier addition of raw meat to the diet of earlier hominins may also have contributed to increase its caloric content (Milton K. 'A hypothesis to explain the role of meat-eating in human evolution.' Evol Anthropol 8:11–21, 1999), raw meat is difficult to chew and ingest, whereas cooked meat is easier to chew and has a higher caloric yield (Wrangham 2009; Carmody et al. 2011). Besides increasing the caloric yield and making previous metabolic limitations irrelevant, cooking would also have increased the time available for social and more cognitively demanding activities, which in turn would impose a positive pressure for increased numbers of neurons, now affordable by the new diet. We propose that the combination of a newly affordable larger number of neurons with the accompanying time now available to use these neurons in cognitively demanding tasks that improved species fitness drove the rapid increase in numbers of brain neurons encountered in human evolution from H. erectus onward (Herculano-Houzel S, Kaas JH. 'Gorilla and orangutan brains conform to the primate cellular scaling rules: Implications for human evolution.' Brain Behav Evol 77:33–44, 2011). 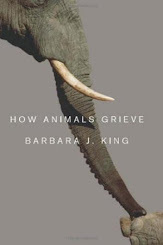 I could also bring up the issue of what primates actually eat, and the difference between a diet comprising largely indigestible leaves--that of gorillas, for example--and one composed largely of ripe fruit or nuts. Or, that humankind's digestive system has the architecture of a frugivore, which is what truly 'allows' shrunken guts [to quote Publishers Weekly again, but also through them, Wrangham himself]. In the same vein, gorillas do not have the gut of an obligate browser, like Bos, and thus not only do they rely on low-quality food, but also they are incapable of extracting more than a small percentage of the nutrients contained therein. If humans were to subsist on a diet of leaves, I can well imagine that we'd be chewing most of our waking lives, with nothing more material to show for it than piles of caw-caw that resemble meadow muffins or more social than a group dump site. But, enough about the Cooking 'R' Us crowd and their sometimes silly assumptions. The major point I want to make today has to do with the way these authors seem to be thinking about evolutionary change and natural selection. I'm talking about the idea of what's called 'selective pressure,' or more generally, 'adaptation.' In their final statement, Fonseca-Azevedo and Herculano-Houzel aver that in our fossil ancestors 'cognitively demanding tasks that improved species fitness drove the rapid increase in numbers of brain neurons' [emphasis added]. Perhaps it's just a poor lexical choice, but use of the word 'drove' in this context more than suggests that the authors believe evolutionary change amounts to natural selection for advantageous traits. Indeed, the notion that nature 'selects' anything good in a species' genome allows the authors and their compadres to make the assertions they do. Remember your introduction to evolution? You learned, for example, about the English moths during and after the worst depredations of the Industrial Revolution. 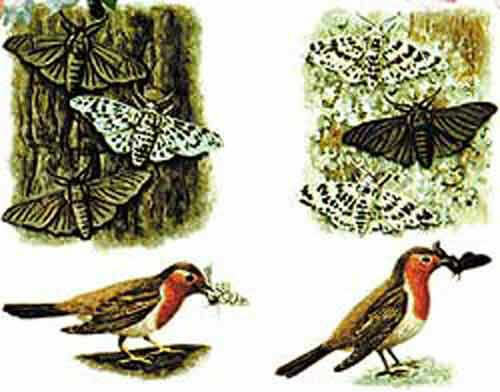 During the time of maximum air pollution and the accumulation of what amounted to soot on tree trunks, the lighter coloured moths all disappeared and dark-coloured moths predominated. Know what was happening? No, Nature wasn't gracing the dark-coloured moths because they blended into the colours of the soot-covered tree trunks. Nature was showing its callous side by arranging it so that the light-coloured moths stood out like sore thumbs on the tree trunks where they used to blend in, and were thus being preyed on more readily, and more thoroughly than ever before, and all that was left were the darker coloured variants that had always existed, but which were always genomically swamped by the better-camouflaged lighter coloured variety. In short, evolution works by selection against, rather than for any latent or novel genetically determined trait in a population. As such, I think it's clear that it's altogether misguided [nay, wrong!] to conclude that the encephalization of Homo erectus and later hominids was the result of a 'combination of a newly affordable larger number of neurons [and the] time now available to use these neurons in cognitively demanding tasks that improved species fitness [which] drove the rapid increase in numbers of brain neurons ... from H. erectus onward.' In like wise, Wrangham's major conclusion-- that 'cooking enabled hominids' jaws, teeth and guts to shrink'--is failed before it even gets off the page. Not just, mind you, for the same reason as Fonseca-Azevedo and Herculano-Houzel's thesis. Instead, there are any number of possible explanations as to why cooking might have conferred an advantage on the larger-brained hominids that were capable of using fire. One possibility that comes to mind is that spending more time making, tending, and using a fire to cook would require a sheltered and in that way protected environment, such as a cave or rock shelter, or a forest glade. That alone might have lessened the chance that bigger-brained hominids would be preyed upon. So, you see, by coat-tailing on the claims for fire use more than a million years ago [about which you know what I think], Wrangham and others have generated a host of 'just-so' evolutionary scenarios that are sufficient to explain encephalization in hominids, but which are certainly not necessary for it to have occurred. I'm done with cooking for now. But be relieved. I could have totally gone off on Wrangham for his ideas about Homo erectus cooking, 'table manners,' 'sexual division of labour,' 'pair bonding,' and what. ever. * Did you ever wonder what they name the kids when two people with hyphenated last names get married?